John Pacheco can be reached at j_pacheco@mwcc.mass.edu. Second of five children of Vinenzia Giglio, housewife, and John James Pacheco, technical illustrator, painter. 2004 to 2015, Director of the East Wing Gallery, Gardner, Ma. 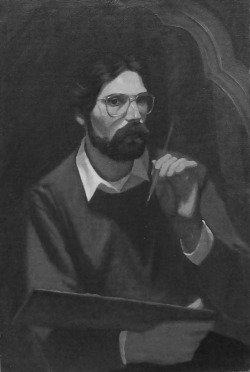 Self portrait 1977, oil on board, 18x 24"